4 Simple Ways To Turn A Pop Up Into A High Traffic Booth Space | Displays and Exhibits, Inc. 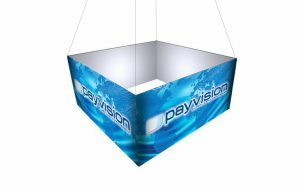 The pop up display is the industry standard for many exhibitors. They’re portable, simple, and affordable which are all great for your business! But to attract attendees you’re going to need something more. When the doors open on your first day of show, a good display won’t be enough to draw people in. So you need to supplement your pop up with something they will be interested in. Luckily this is actually quite simple and here are four (4) ways to get people to stop by your booth. We may live in a digital age, but trade shows are still a very physical environment and you should use that to your advantage. Bring products with you to the show, but don’t keep them hidden away in glass display cases. Allow the attendees to touch and use them. Let them feel what it would be like to own your product by letting them use it. At the recent 2016 NAMM (National Association of Music Merchants) Show, guitar accessory manufacturer Ernie Ball had their booth flooding with people all day. How? They brought in big clients like St. Vincent to speak on behalf of their company. Now you may not have the connections to invite people of celebrity status to your booth (or maybe you do? ), but guest speakers are still a great way to draw a crowd. Pens, stress balls, tote bags, and lanyards. These types of freebie items are a great way to bring people into your booth. For your item, you should pick something people can use often. This way long after the show has concluded, you can give a soft reminder of your company. You can even get creative with what you give away. Do you have an eBook that you give away on your site? Load that onto a flash drive with your company logo and now you can hand it out physically too. Just like a promotional freebie, raffles prove that sometimes “free” is the only incentive you really need to get people in your booth. For the giveaway, offer your own product or service as a prize and use this chance to turn the winner into a potential spokesperson for your brand. In their early days, GoPro often gave away their cameras because they knew those who won would go on to praise the product to all their friends and family. Trade shows are a multifaceted process; you can’t expect to show up with a display and graphics and think your job is done. You need to create a welcoming environment that provides reasons for people to come into your booth. Test the ideas above and give us feedback below on what worked for you!